The West 77th Street Arch is Central Park's only double arch, carrying an access road to the West Drive from Central Park West over both the bridle path and a pedestrian path. The pedestrian path was originally a narrow arm of the Lake going from Balcony Bridge to the Ladies Pond. Considered a nuisance, the Ladies Pond was filled in by 1936. 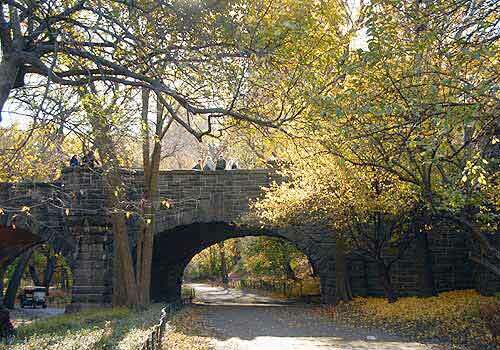 Built in 1890, the 77th Street Stone Arch today divides Naturalists' Walk and Azalea Walk.